Valencia-based architecture firm Mano De Santo has proposed a plug-and-play hotel room that could be easily transported and installed thanks to its modular, off-grid design. 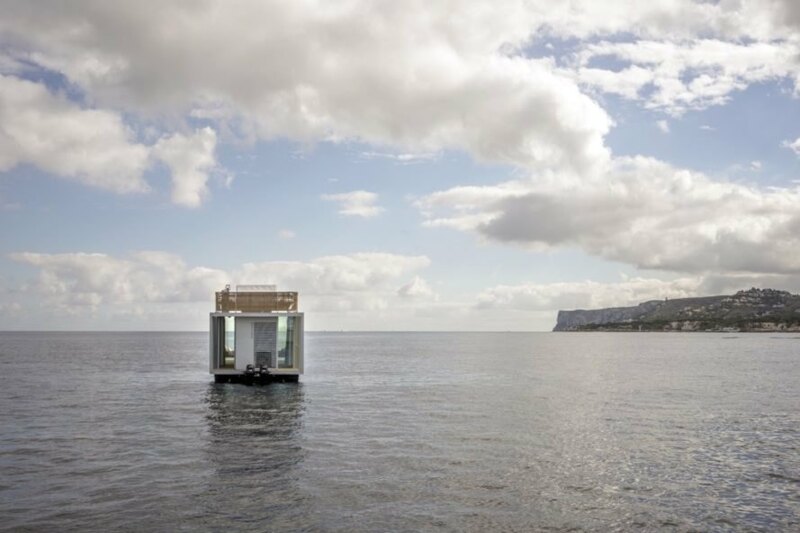 Dubbed the Punta de Mar Marina Lodge, the conceptual floating pavilion is a sustainable tourism initiative that targets low environmental impact. 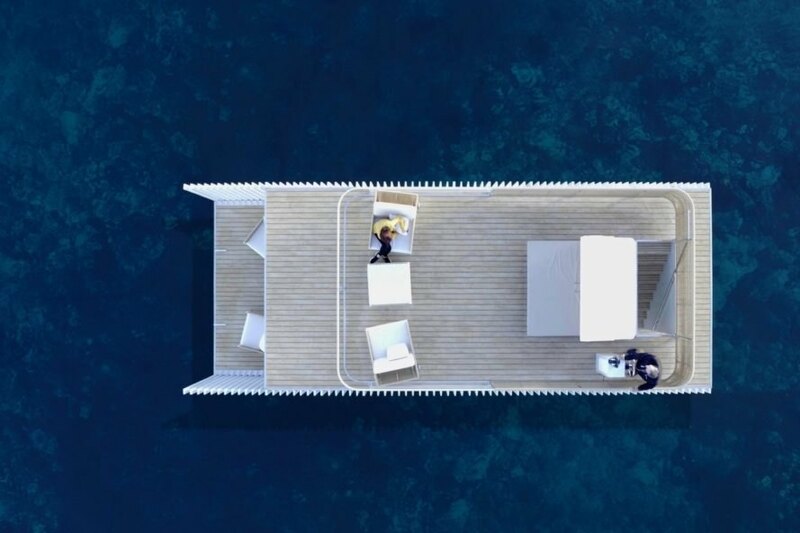 Powered with solar energy, the Punta de Mar Marina Lodge would offer a private and luxurious experience on the water for two. Unveiled last year, the Punta de Mar Marina Lodge is envisioned to house two levels spanning a total of 74 square meters in size. The ground floor — approximately 40 square meters — includes a small front terrace that opens to the bedroom, which overlooks views of the water through full-height glazing. The bathroom, technical equipment and storage are tucked in a unit behind the bed, while a small outdoor terrace is located in the rear. 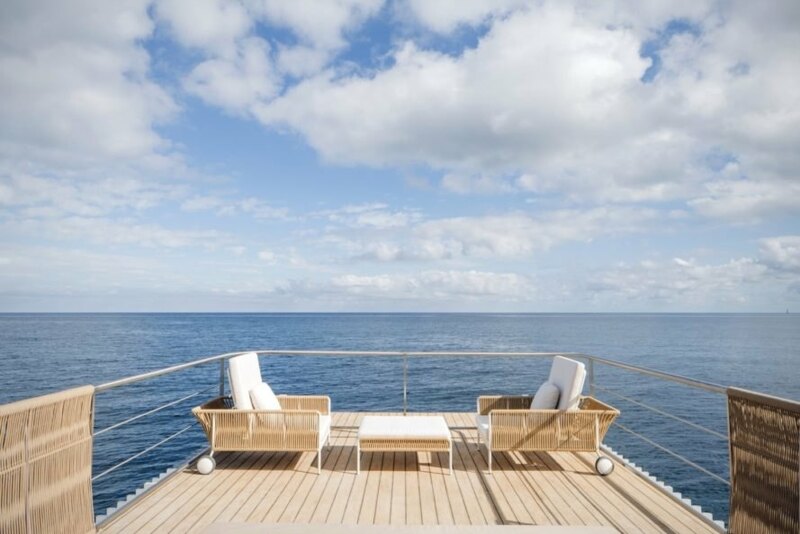 Guests can also enjoy access to the roof, where an open-air lounge with seating is located. In addition to the off-site prefabrication of the unit that minimizes waste, the Punta de Mar Marine Lodge was designed to follow passive solar principles to reduce energy usage. Moreover, the indoor temperature, lighting, alarm system and entertainment system can all be controlled remotely via the guests’ smartphones. 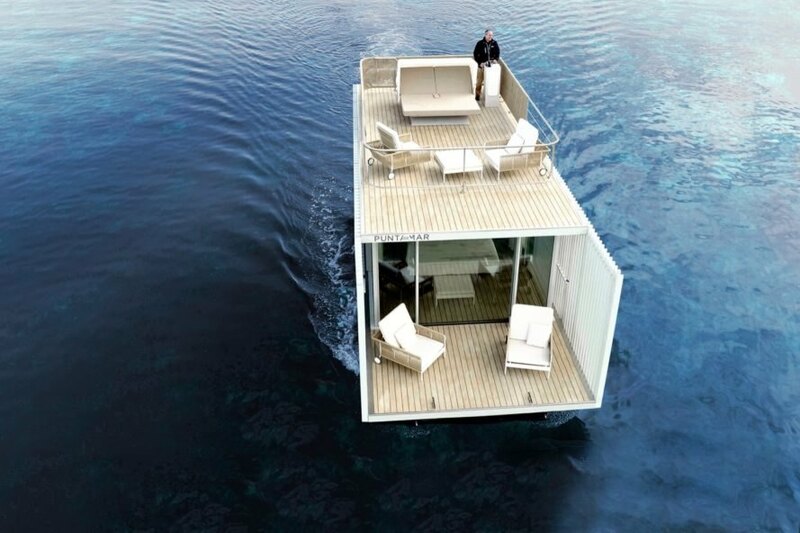 Mano De Santo has proposed a floating hotel that can be controlled by a smartphone. The hotel is geared toward sustainable tourism and a low environmental impact. The lodge is comprised of two floors spanning 74 square meters. The hotel would include a lower level deck as well as a rooftop deck. 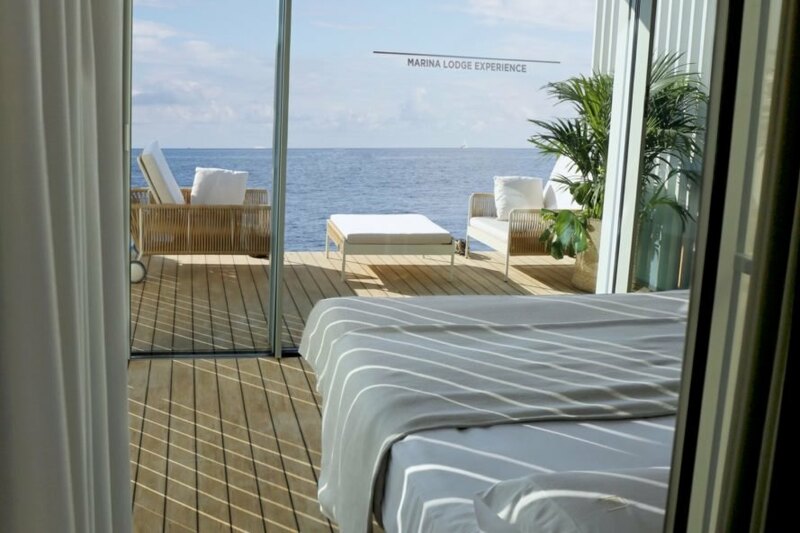 The Punta de Mar Marine Lodge would be prefabricated and solar-powered. Guests can control the indoor temperature, lighting and the alarm and entertainment systems via smartphone. A look at the hotel's design specifications.